The way that one father is handling the unthinkable loss of his 13-month-old twins is inspiring. 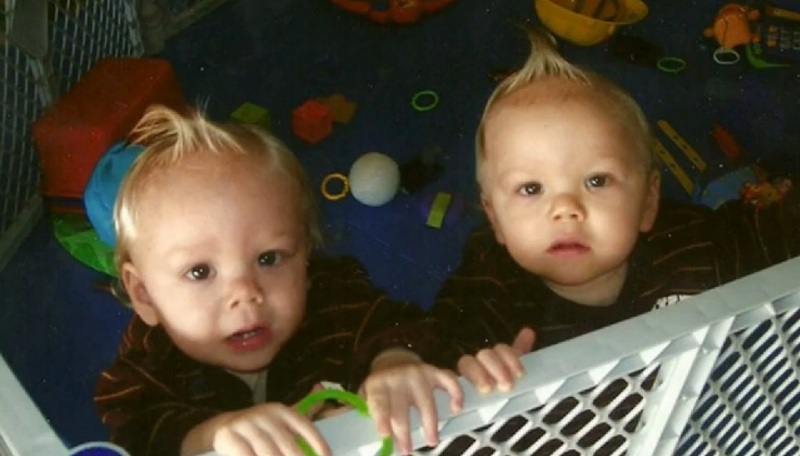 Joshua and Christian, twin boys, drowned in their grandparents’ swimming pool five years ago. Now their dad, Paul DeMello, has an important message to share with parents so that an accident like this doesn’t happen again. According to DeMello, it is now his mission to keep other kids safe as a way to keep his sons’ memory alive. At a time when DeMello should have been watching his sons grow up and play baseball and soccer, he is working with leaders in local Florida counties, along with his older son Jesse, to start the “Just Against Children Drowning” coalition. The name of the coalition is significant: It stands for Joshua and Christian DeMello. In 2010, Joshua and Christian broke through the baby gate at their grandparents’ house in Port Charlotte and crawled outside toward the pool. The twins were found floating face down after falling into the pool. Their mother was the only adult home at the time, and she was unaware they had escaped. Through the Just Against Children Drowning Foundation, DeMello uses his personal loss to shed light on this tragedy. JACD focuses primarily on drowning prevention by providing supervision, swimming classes, security systems and CPR. In partnership with local businesses and volunteers, JACD offers free pool barriers to all families with children. JACD also works with the Department of Children and Families to provide pool safety fences to families in the welfare system. Drowning awareness may not be new, but it is normally bundled in with a larger organization, according to Golisano Children’s Hospital child advocate Sally Kreuscher. Kreuscher believes that because JACD is a concentrated drowning prevention effort, it can have a bigger impact on the community. Kreuscher emphasizes statistics that every parent needs to know: Drowning remains the number one cause of accidental death for children 1 to 5 years old. Two-thirds of the time, drowning occurs in a swimming pool. JACD hopes to change these statistics. In cases of accidental drowning like this, what can certainly be considered every parent’s worst nightmare, awareness and prevention can make a world of difference. As a mother of two toddler boys, this story absolutely breaks my heart. While there is no one to blame in Joshua and Christian’s accident, since both children managed to break past the baby gate and out of the house, a pool safety fence could have saved their lives. DeMello now has to live with this in hindsight as he grieves the loss of his two beautiful children. This father should be commended for using what is undeniably the most painful moment in his life to save the lives of other kids. I don’t know if I could be that brave.